This two-person gluten-free dessert is perfect for date night or Valentine’s Day. Cut one Pillsbury Gluten Free Muffin into small chunks and put half in each wine or parfait glass. 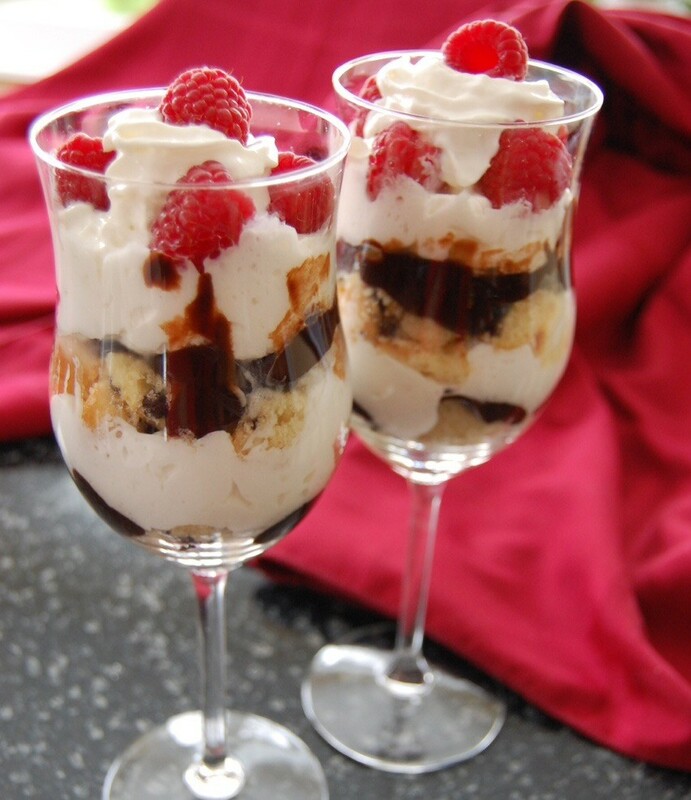 Top with a layer of hot fudge sauce –about 2 Tbsp. Spread on a layer of whipped topping. Repeat first three steps, topping the dessert with fresh raspberries. Nutrition Analysis: 450 cal, 17 g fat, 30 mg chol, 350 mg sodium, 69 g carbs, 22 g fiber, 34 g sugar, 6 g protein.